Start the day right with our skin-loving cleansing and moisturizing team. Coco Fresh is our gentle foaming facial cleanser, which works to purify, lift makeup and remove impurities; while the Coco Day moisturizer works to keep skin smooth and soft, all-day long. 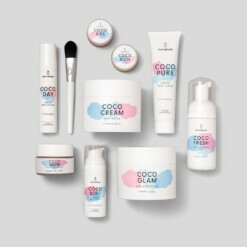 Your daily skincare saviors are here. 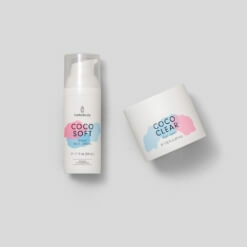 Dampen your face using cool water, pump the Coco Fresh foam into the palm of your hand and massage into skin in an upward circular motion. Rinse off with cold water and pat skin dry. Use morning and night. 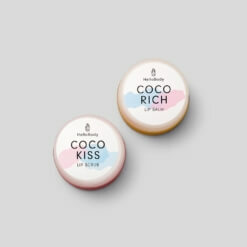 Follow up with a pea sized amount of the Coco Day moisturizer to keep skin soft and smooth all day long. 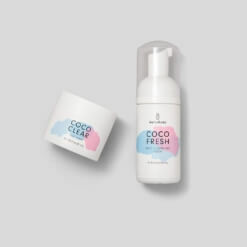 Coco Fresh Face Foam: contains 3.4 fl oz (100 mL). 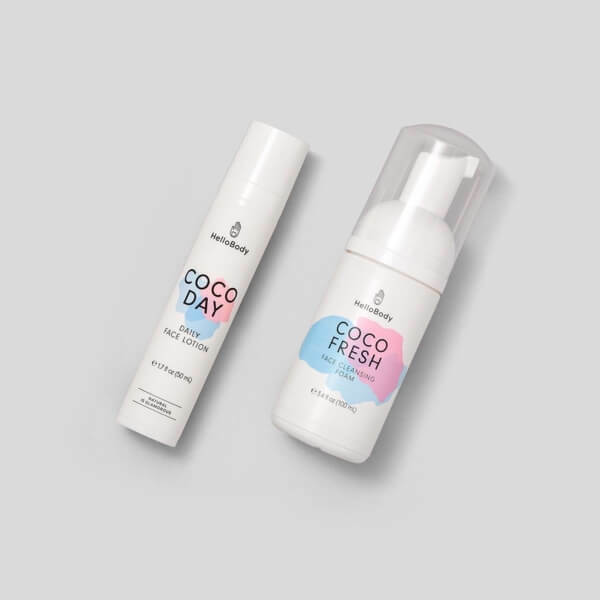 Coco Day Daily Face Lotion: contains 1.7 fl oz (50 mL). 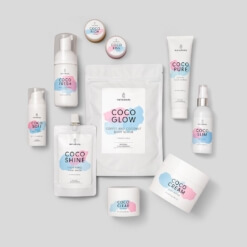 Water, Decyl Cocoate, Glycerin, Coco-Caprylate, Distarch Phosphate, Cetearyl Alcohol, Glyceryl Stearate Citrate, Sweet Almond (Prunus Amygdalus Dulcis) Oil*, Levulinic Acid, Cetyl Palmitate, Coconut (Cocos Nucifera) Oil*, Peat Moss Extract*, Panthenol, Tocopherol, Sunflower (Helianthus Annuus) Seed Oil*, Sodium Levulinate, Natural Fragrance, Glyceryl Caprylate, Sclerotium Gum, Xanthan Gum, Citric Acid.